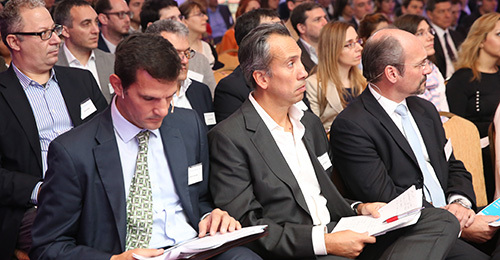 More than one hundred in-house tax professionals gathered at the Faena Hotel in Buenos Aires to participate in the inaugural event in Argentina of TEI’s Latin America Chapter. 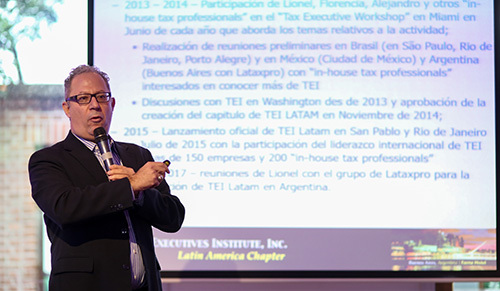 Participants welcomed Latin America Chapter President Lionel Nobre (Dell Inc.) and Institute Executive Director Eli J. Dicker to share the history of TEI, its growing prominence in Latin America, and the value it brings to the in-house tax professional community throughout the world. A full morning of technical sessions followed, led by tax practitioners from Big Four accounting firms and leading law firms. Nobre expressed his thanks to Lataxpro, the eight regional Latin American tax professionals who will form the core of TEI’s presence in Argentina. Alejandro Ramallo (DHL) of Lataxpro indicated how pleased he was to be able to help lead TEI’s growth in Latin America. The program concluded with a luncheon at Bistro Sur. 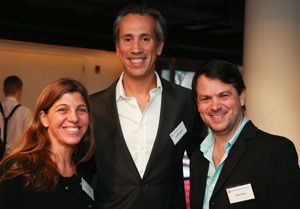 From left: Florencia Misrahi, Cargill; Alejandro Ramallo, DHL; and Carlos Rivera, Mercado Libre. 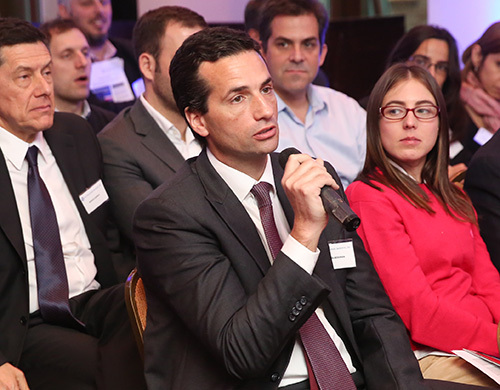 First row, from left: Rodolfo Canese, KPMG; Alejandro Ramallo, DHL; and Cristian Rosso Alba, Rosso Alba, Francia & Asociados. Second row: Lionel Nobre, Dell, Latin America Chapter president. Lionel Nobre, Latin America Chapter president. Panel comprising (from left) Rodolfo Canese, KPMG; Alejandro Ramallo, DHL; Martin Barreiro, Baker McKenzie; and Cristian Rosso Alba discussing upcoming tax reforms in Argentina and the United States. Adidas Group tax executive Joaquin Kersman (front) and Roberto Banega, tax consultant and formerly of Shell (back, left). Lunch at Bistro Sur, the Faena Hotel’s restaurant known for its white unicorn decor.